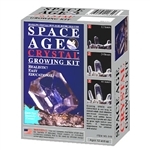 Citrine Crystal Growing Kit 4"
Grow your own sparkling Crystal Cluster of up to 4-inches in diameter. Discover the laws of nature which create crystals deep inside the earth. 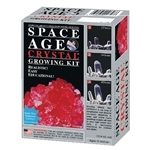 Grow your own sparkling Crystal of up to 4-inches in diameter. Discover the laws of nature which create crystals deep inside the earth.